The BBC is reporting Serial killer Dennis Nilsen, who admitted killing at least 15 people in the 1970s and 1980s, has died in prison. The 72-year-old is understood to have died of natural causes at HMP Full Sutton maximum security prison in Yorkshire. 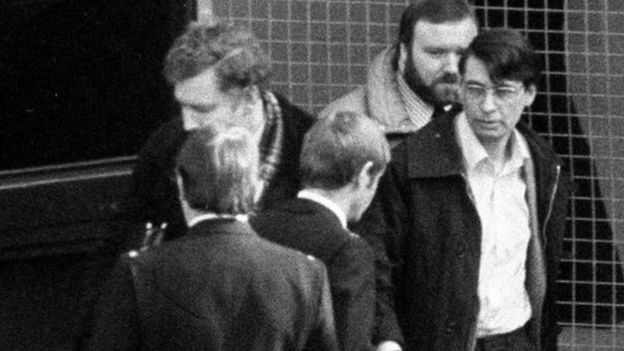 Nilsen was jailed in 1983 with a recommendation he serve at least 25 years. It’s believed he killed at least 15 young men, most of them homeless homosexuals, during a murderous spree between 1978 and 1983. The former civil servant murdered and dismembered several of his victims, most of them homeless young gay men, at his home in Muswell Hill, north London. He was convicted of six counts of murder and two of attempted murder. A spokesman for the prison service said: “Dennis Andrew Nilsen, date of birth 23 November 1945, died in custody at HMP Full Sutton on Saturday, 12 May 2018″, according to The Guardian.